I recently had the pleasure of being part of Northumberland County’s project to celebrate our 150th birthday. 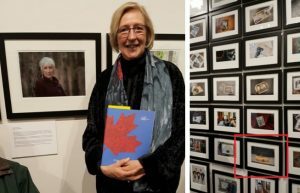 The County has created a book and show at the Art Gallery of Northumberland County called “When We Came From Away”. It showcases accounts of people coming to Canada, now living in the county. The accounts and photos of the people and cultural artifacts is a joy to see. Take a trip to Cobourg to check it out! In other news – mark your calendars for BOOKAPALOOZA!! 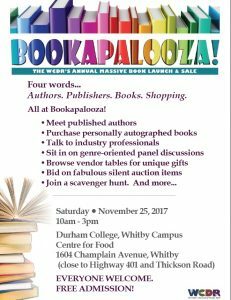 November 25, 10 am to 3 pm in Whitby – All things for the book-lover. Authors, books, readings, prizes. Come and start your Christmas shopping!